Heads up. Our site’s about to go down for several days to usher in THEHUNDREDS.COM ver. 6.0 ! I’m not even sure if this is the 6th version of the site, in fact, I think it might be the 34th. THEHUNDREDS.COM ver. 34.0 sounds ridiculous though. Like UFC 101. Or American Pie 6. But regardless, get ready for a new blog/’zine/shopping experience at your favorite time-wasting website.. trust me, it’ll be worth the wait. What’s that? Oh nothing. 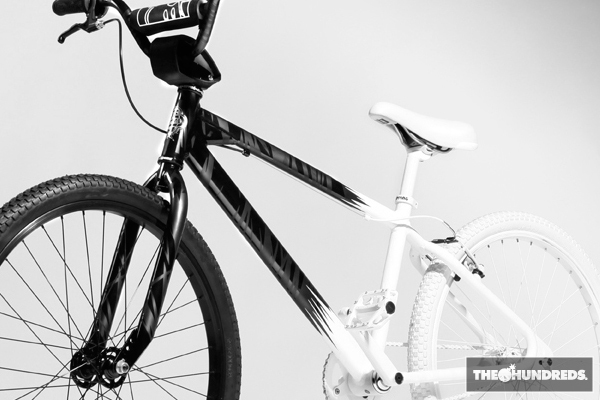 Just The Hundreds x SE BMX… the world’s first 26″ Pk Ripper. ???. huh? wha? ?